Freedom to recover our child within just as our Child Within has gained...Freedom to pursue all of our Childs dreams and aspirations. Freedom to let go of any situations that may hold my child within back from stepping into my child withins Purpose. Let our mind rest in each of these phrases. You can be aware of the phrases either with the breath or just in themselves—the focus of the attention is the phrases. Let our minds rest within them. feelings will come and go. We send loving-kindfulness which does not mean that we approve or condone all actions, it means that we can see clearly actions that are incorrect or unskillful and still not lose our new connection. My child within has a strong and powerful voice, may my child within use it today in the service of recovery and all that my child holds dear. For as my child within does, my child will be met with serenity and freedom in our most unexpected hours...We all have a child within hence the term for connection is our so that we can revel in our connections to our fellow children regardless of age, gender or ethnicity. 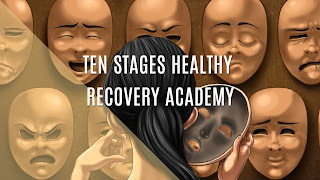 In the Ten Stages we are awakened to our nervous system which has been evolving for millions of years...so our nervous systems is a very powerful and intelligent system that is designed to keep us alive. Which... is a good thing. The problem is... the nervous system tends to generalise and associate danger death and doom with anything that represents a threat. 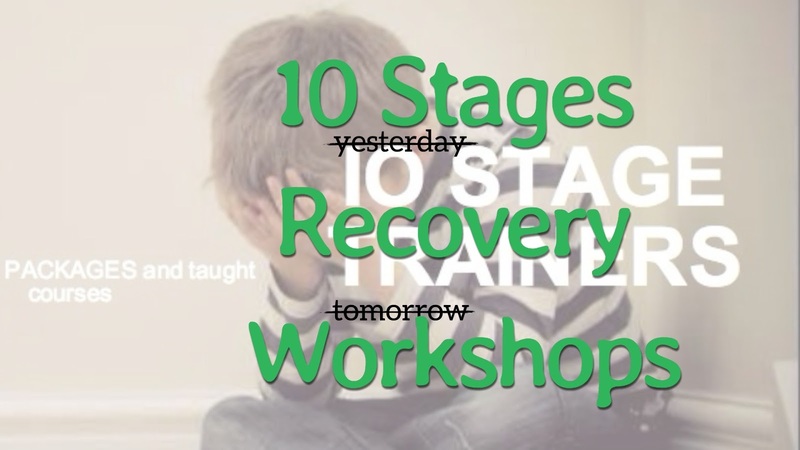 And... when we are trying to change or improve our recovery life... part of the deal is that we need to practice a recovery purpose. Try new projects. Let go of old not functioning relationships. Speak up for what we really need. Set boundaries. Open our mind. All of these things are new... and they are uncertain. And... because they are uncertain... that means that our nervous system interprets anything that is uncertain or that could be a "risk" as the same thing as death. So... without conscious awareness... without our attention... without bringing in our child within relationship.... our scared and terrified nervous system can still run the show using blame and shame to stop our recovery in its tracks. Without even consciously knowing it... our unrecovered nervous system can think that stopping an ingrained dissociation behaviour is just as dangerous as being cast out and banished from a tribe to live by and fend for ourself in the desert. Or that opening our heart up and practicing loving-kindfulness will result in the same pain or worst from the past... and that we will die if we experience that kind of emotional pain again. It's not a bad thing that our old nervous system is trying to keep us safe. This also means that any risk or uncertainty that is required to love, start recovery, build new healthy relationships, forgive someone or change our life is also seen as a threat by our ingrained nervous systems survival strategies. As a result... our nervous systems coping strategies doesn't want us taking any risks... risks that could hurt us again.... and risks that could help us change our life. So, the practice must be... to bring our conscious awareness to our life... and to work to send messages to our old nervous systems coping strategies that we are safe... and that it's okay for us to take risks that our heart... our child within.... and our recovery selves as nudging us to take. 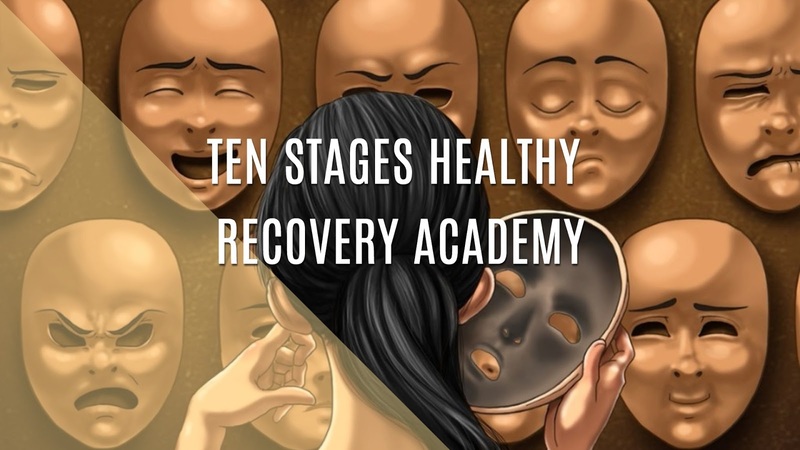 Starting our ten stage program of healthy recovery won't kill us. Opening our heart again to loving Kindness won't kill us. Letting go of trying to control others won't kill us. 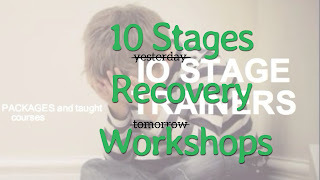 Living our Ten Stage Recovery won't kill us. Because while our ancestors were focused on primarily just surviving.... we get the privilege to have our basic needs met and shift our focus to thriving... and living in our Recovery Purpose. We need to dedicate our life to living our unique Recovery and make to decision regardless of the death threats to join recovery. We are wise. We already know. We have all the answers within us. Right... now. Title: We are wise. We already know. We have all the answers within us. Right... now. We have all the answers within us. 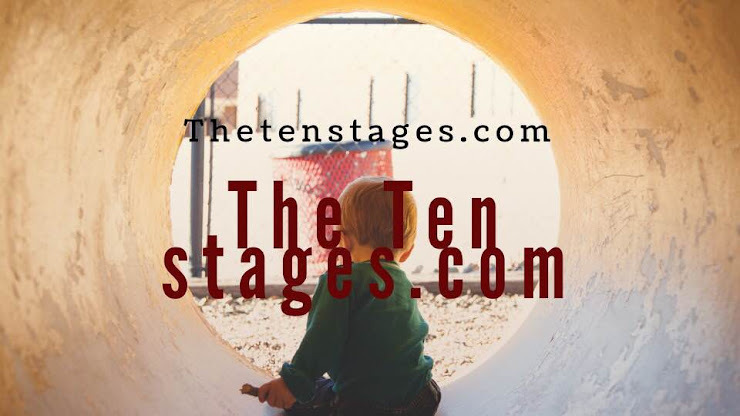 Today, We want to re-iterate our passion for intuition and share with us how powerful the Ten Stages really are. We have some words we want to share with you today about the power of our child within intuition. The wings we are referring to is our intuition. We have direct access to our child within because it speaks to us through our intuition. The voice of our intuition whisper and is not logical. It makes no sense. It will ask us to do things that are outside of our comfort zone, that go against the status quo and things that might freak out our family. Our intuition will cause us to go against the grain. To feel left out and to go on an epic spiritual recovery quest to find our child withins purpose. And when we arrive at the destiny of our recovery purpose. our intuition will get the credit for showing us the way, one foggy, stage at a time. You see, your intuition is literally the child within talking to you. It's our own child within trying to get our attention, to guide us. And, this perfect Child Within is wiser that we are and is connected to all time and space. It knows past, present and future. So, when we are guided, we are being guided by a force that knows where we're headed. 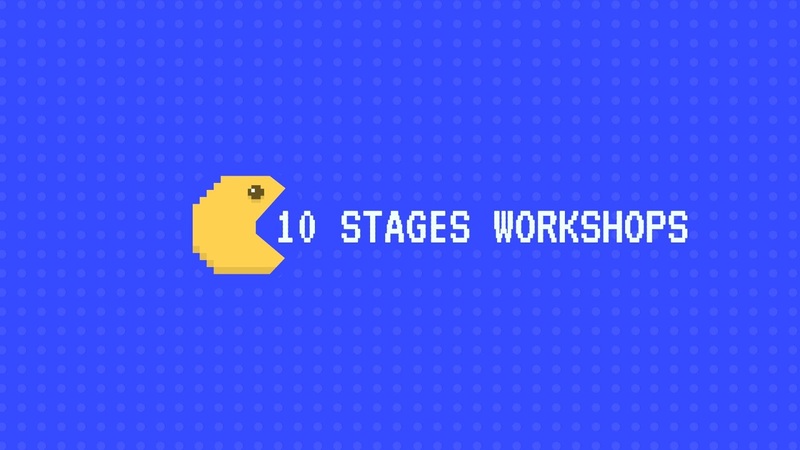 It can see 100 stages ahead. It sees how all the seeming "random" moments of our life are actually conspiring for our greatest good, even the moments where we feel like we're getting kicked in the teeth by life. It's all a conspiracy for our benefit. But, if you let irrational fear, which we call Survival Patterns, stop us from following our child within intuition - we get stuck, and our life shrivels up. And then we get resigned that this is how it will always be. It remains, calling you into the foggy uncertainty of faith. And the day will come where taking the leap out into the unknown will be our only next stage. We do not need to be stubborn. We can relax and tap into our child within intuition. We can find it. We can follow it. Labels: We are wise. We already know. We have all the answers within us. Right... now. Title: Who you spend time with is who you become. "Who you spend time with is who you become." So, you want to be mindful of who you surround yourself with. Make sure you are around people who support your recovery growth, your purpose and who you're becoming. You don't want to attach to people who must remain attached to who you've been. At this moment, you're a brand new person; it's time to surround yourself with people who see you as brand new. Our great wish is that you find your recovery group. You are worthy of these things. 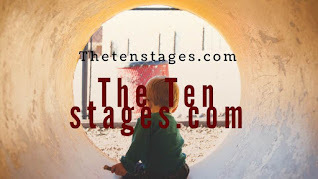 Know this, and welcome the Ten Stage Solution. Remember to get out there, take action & make it real! Labels: You don't want to attach to people who must remain attached to who you've been. 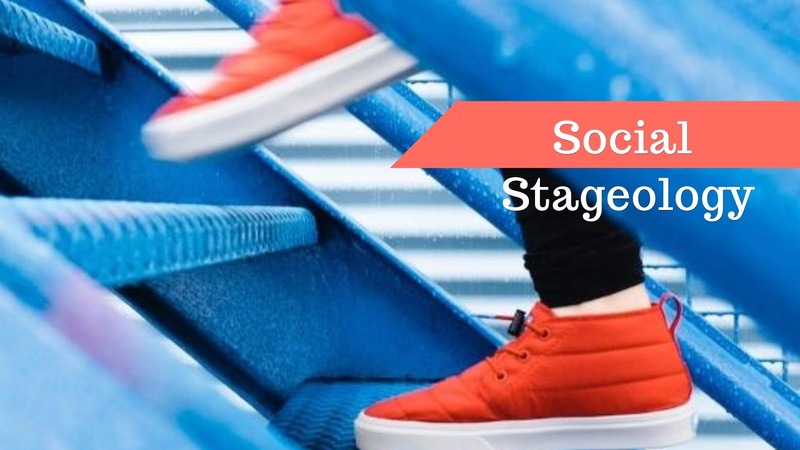 When we connect with our recovery purpose - we find the recovery we were born to have. Our relationships improve, and we are surrounded by people who support this new direction in our life. We develop more energy in our body and instead of pushing snooze every morning we wake up with zest, excitement, and enthusiasm for the day. When we find our purpose, we wake up and create our day how we feel we should - be no longer at the whims of other peoples agendas. When we find our recovery purpose - we're free. MBro DayHab:We ignore the doubts of others. And we constantly bounce back up. We are no longer victims but strong, powerful survivors. Remember to connect to our Child Within today in whatever way resonates with us, gaining our power and authority. Remember that we are supported by perfection, even now. Be aware of the problem, but be steadfast in participating in our solution. Focus on what we can control, make it bigger and bring it in close. Take what we can't control, make is small and push it far away. Dedicate our day to something bigger than our problem. Today, We commit to following through. Surround ourself with positive energy. Be a source of kindfulness for someone else. Loosen our grasp on all that we are trying to control. Leave room for our child within to function. Greet each person we meet today with kindfulness and a smile, not because we're in a good mood (and if we are... thats awesome), but because it might just save their lives. We have no idea what others are going through today, so send the spirit of Kindfulness when we see something we would normally judge. Lighten the load and send loving-kindfulness to anyone who we are holding a grudge towards. Remember that life, our Recovery Purpose and this journey is a marathon, not a sprint. It's okay to slow down a little today. We find something in this very moment that we can be grateful for today. We have been given the gift of another day, use it wisely. We are being moulded by the presence of our child within into something marvellous, trust the process. Do not be discouraged. Tomorrow will take care of itself. Give your all to this day. Following your Child Within may seem foolish to others, but in the end, the only foolish thing is letting our fear and self-doubt win. So, today, in this moment, decide to make a Child Within out of ourselves and keep going. Labels: MBro DayHab:We ignore the doubts of others. It’s no surprise we can fail to tune into our Child Within presence. 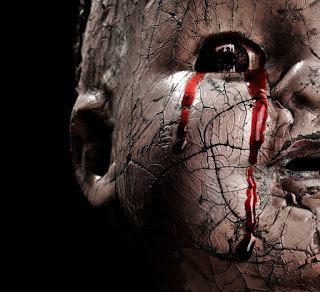 Title: It’s no surprise we can fail to tune into our Child Within presence. It’s no surprise we can fail to tune into our Child Within presence. How can we listen to the child within, when so many of us barely listen to ourselves? How can we feel their spirit and hear the beat of their heart if we can’t do this in our own life? When we meditate, it’s crucial we realise we aren’t raising a “mini me,” but a spirit of perfection throbbing with its own signature. For this reason, it’s important to separate who we are from who each of our child Within is. 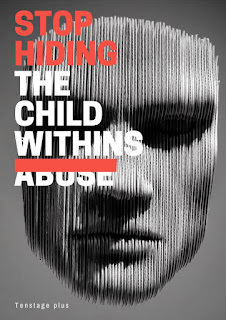 Child Within isn’t ours to possess or own in any way. When we know this in the depths of our being, we tailor our raising of them to their needs, rather than moulding them to fit our needs. Labels: It’s no surprise we can fail to tune into our Child Within presence.